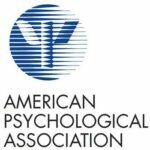 Nystrom & Associates, Ltd offers a doctoral internship that is accredited on contingency by the Commission on Accreditation of the American Psychological Association. The doctorate internship experience provided through Nystrom & Associates, Ltd., (NAL) is an APPIC member internship. It consists of a one year full-time commitment or two year part-time commitment of conducting assessments and administering assessment tools, as well as gaining experience with individual and possibly group therapy. All applicants must apply through the APPIC match process. Doctoral interns provide therapy and psychological evaluation services to a diverse population of clients ages 6 and up. Doctoral interns obtain experience with providing therapy and assessments. They participate in the equivalent of two hours of individual supervision a week, as well as two hours of group supervision a week. Doctoral interns will receive experience and education through conducting clinical interviews, administering a variety of psychological tests, utilizing interview information and test results to clarify a diagnosis, provide a written report explaining results, diagnosis, and recommendations, share evaluation results with clients, consult with staff and therapists, and make appropriate referrals. They will also hold a caseload of therapy clients and possibly co-lead a therapeutic group. Interns will participate in clinical meetings, trainings, and consultation groups, as well as observe other service areas provided by NAL. Through the internship they also will gain experience with consulting with insurance companies and learning the process for obtaining insurance authorizations, as well as learning about the billing process. In addition, interns will learn and be able to operate an electronic medical records program. Through this internship experience and training the interns are expected to achieve competency in the areas of assessment and intervention, as well as with consultation, supervision, cultural and individual diversity, research, ethical and legal standards, professional values and attitudes, and communication and interpersonal skills. Length and schedule requirements: 1 year long full-time commitment with 45 scheduled office hours per week are required to complete the 2,000 hour internship with NAL. A part-time commitment is also possible in which the 2,000 hour internship would be completed in 2 years. Educational degree: Doctoral interns will have completed all of the required doctorate program coursework at their graduate school to be able to participate in internship. NAL has 14 clinics in Minnesota. Interns are often asked to see clients at two different clinics in order to obtain a diverse and well-rounded internship experience. All of the doctoral interns spend every Tuesday at the New Brighton clinic together for trainings, supervision, and socialization. Questions? Contact: humanresources@nystromcounseling.com. For additional information related to the internship, or to receive a copy of the internship handbook, email questions or a request for the handbook to Heather Bodurtha, LP, Training Director at hbodurtha@nystromcounseling.com.